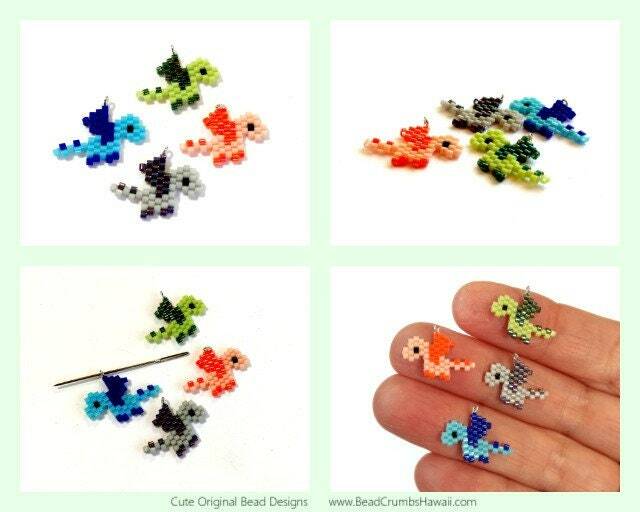 ITEM: Fiery cute micro brick stitch dragon charms. 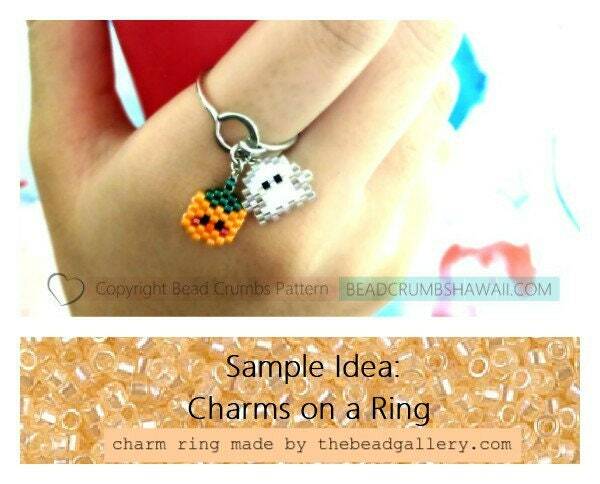 These charms are hand stitched with Miyuki Delica seed beads in the brick stitch beading method. 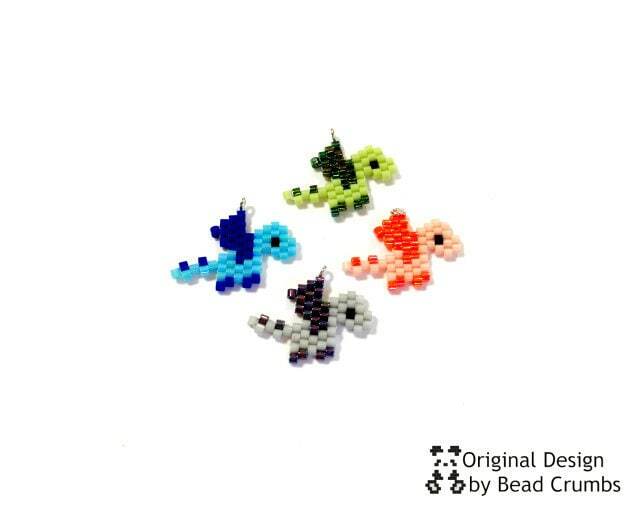 You will receive one dragon charm in your choice of color - blue, green, orange or gray. Please make your color selection when placing your order. 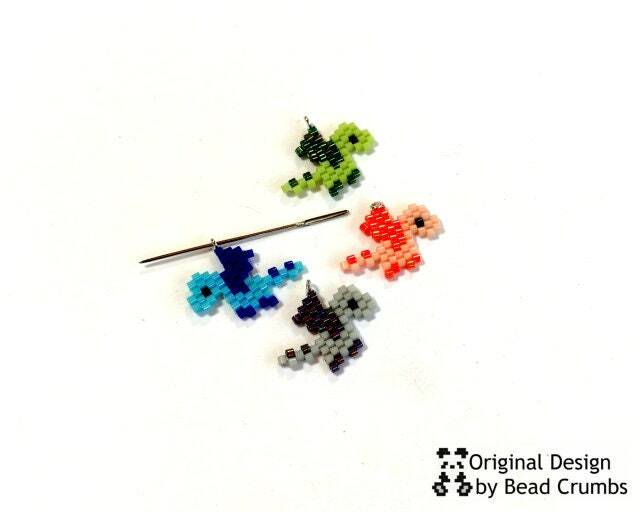 Each tiny dragon has a sterling silver closed jump ring attached to the top of the wing to make it easier to use in your own creative designs such as planner/cell phone/bag charm, stitch marker or progress keeper. You could also use it as earring or pendant jewelry components. 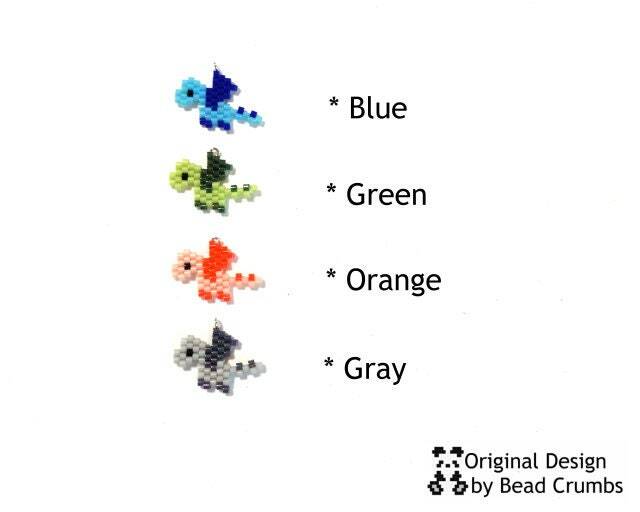 ♡ Beadwork is made with Miyuki Delica glass seed beads, size 15/0 (tiniest size- each bead measures about 1.3mm x 1mm). 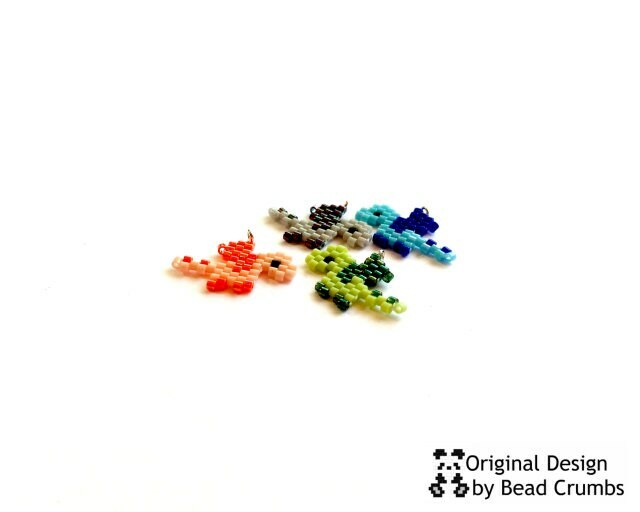 A total of 56 beads are used in this project. 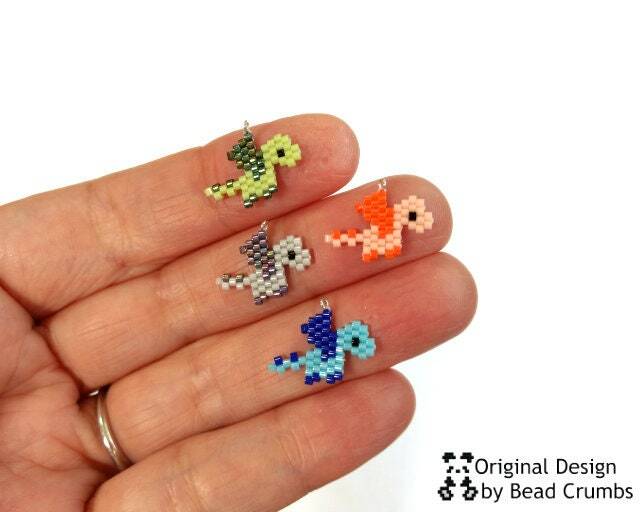 Super cute and well made stitch markers!